The concept of terroir is one of the most celebrated and controversial subjects in wine today. Most will agree that well-made wine has the capacity to express “somewhereness,” a set of consistent aromatics, flavors, or textures that amount to a signature expression of place. But for every advocate there is a skeptic, and for every writer singing praises related to terroir there is a study or a detractor seeking to debunk terroir as myth. 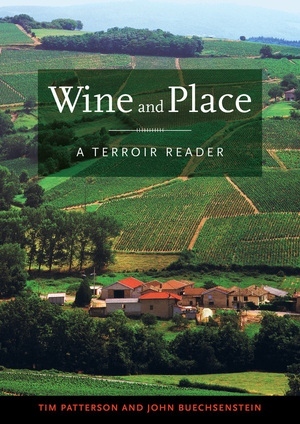 Wine and Place examines terroir using a multitude of voices and points of view—from winemakers to wine critics, from science to literature—seeking not to prove its veracity but to explore its pros, cons, and other aspects. This comprehensive anthology lets readers come to their own conclusions about terroir. Tim Patterson was an award-winning home winemaker and author of several books including Home Winemaking for Dummies and Concannon: The First One Hundred and Twenty-five Years. He was also a columnist for Wines & Vines and a contributor to numerous books, magazines, and websites. John Buechsenstein is a winemaker and wine educator. He is past president of the American Society for Enology and Viticulture and coauthor of the Standardized System of Wine Aroma Terminology, among other titles.